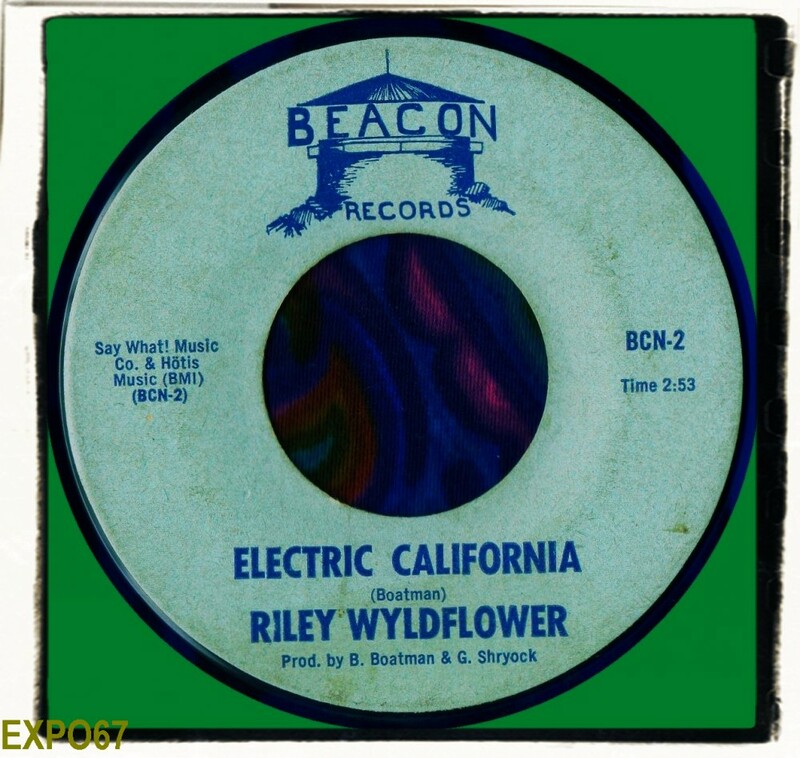 RILEY WYLDFLOWER - 'The Smog Song'/'Electric California' (Beacon Records BCN-1) 196? When I reviewed The Gentle Soul 45 'Tell Me Love' a member of the group, guitarist Riley Wyldflower, sounded like an intriquing musician to find out more about. As a consequence, I've been trying to find his record 'The Smog Song'/'Electric California' for the best part of a year. I finally managed to track down a copy last month for $45. It's condition wasn't the best, it had definately seen better days and looked like it hadn't been in a protective sleeve for decades. It's also on blue vinyl. Thankfully, it may look dog eared but it plays rather well. 'The Smog Song' is what I would call 'hippie blues' and I'm in no doubt that both sides of the disc were recorded after Riley's stint with The Gentle Soul. Probably late 1968 or 1969. The song is notable for the spoken intro of a news reader describing that people in the City were collapsing with smog poisoning. Maybe the city in question is San Francisco? The other side 'Electric California' is much more experimental and was written by B. Boatman. I did some research on the producers/co-songwriters Boatman and Shryock but didn't come up with much. G. Shryock may be the producer that power pop group 20/20 used for their 1978 recordings. 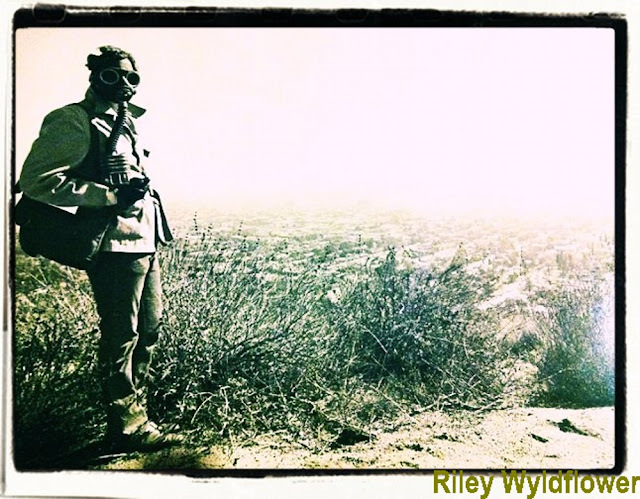 It appears that Riley Wyldflower's real name is Riley Cummings. He hooked up with Peter Tork and played with Tork's group in 1968-69. Striking out on his own, he formed a group called 'Peter Tork And/Or Release' with girlfriend Reine Stewart on drums (she had played drums on part of 33⅓ Revolutions Per Monkee), Riley "Wildflower" Cummings on bass and - sometimes - singer/keyboard player Judy Mayhan. Tork said in April 1969, "We sometimes have four. We're thinking of having a rotating fourth. Right now, the fourth is that girl I'm promoting named Judy Mayhan." "We're like Peter's back-up band", added Stewart, "except we happen to be a group instead of a back-up band." Release hoped to have a record out immediately, and Tork has said that they did record some demos, which he may still have stored away somewhere. According to Stewart the band were supposed to go to Muscle Shoals as the backing band for Mayhan's Atlantic Records solo album Moments (1970) but they were ultimately replaced. They mainly played parties for their "in" friends and one of their songs was considered for the soundtrack to Easy Rider, but the producers - who had also produced Head - eventually decided not to include it. 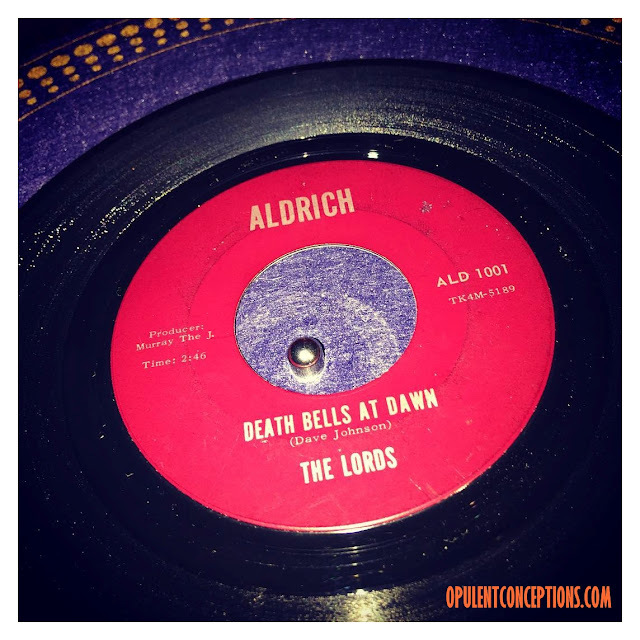 Release could not secure a record contract, and by 1970 Tork was once again a solo artist." thanks to Eric Bluhm for the info regarding the Peter Tork connection. In June 2013 I was contacted by Riley Wyldflower's sister Lisa Mattioni. Lisa kindly sent me a photograph of Riley and information relevant to this rare 45. 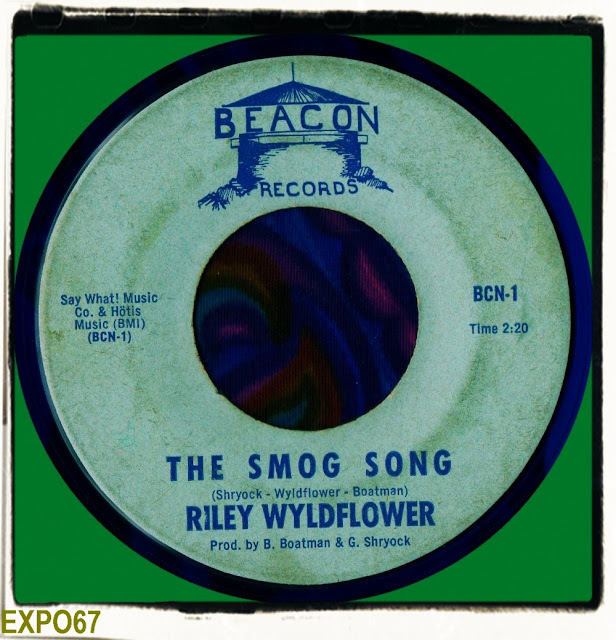 My brother, Riley, wrote "The Smog Song" to call attention to the lack of air quality in Los Angeles in 1967. 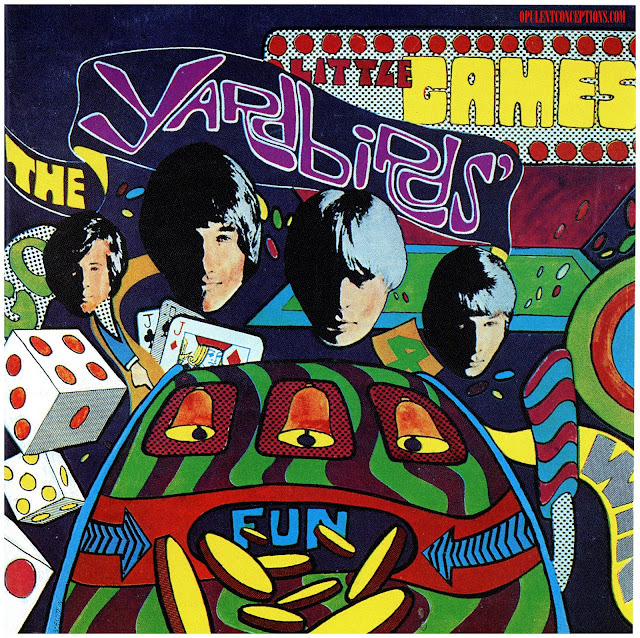 Being the 60's, it was also a tongue in cheek reference to smoking marijuana. I have a photo of him, standing in the hills overlooking LA in a gas mask that he'd intended to have put on a cover for the 45 rpm record that you have. Thanks for your theory...and you'll be correct I'm sure. Mine was only a guess by a Brit. I've been mastering vinyl for about 15 years and have improved my technique, equipment and software year upon year. There is absolutely NO need to listen to poor vinyl transfers in 2012. Another character who was supposedly involved in the Release project was Joey Richards (who co-wrote "For Pete's Sake" with Tork), and under the alias Jory Richards was the mastermind behind The Lollipop Fantasy. May I be bold enough to suggest that it might be the production team of Bill Boatman and Gordon Shryock who were tied in with the Gary Lewis, Leon Russell - JJ Cale crowd in Los Angeles and Oklahoma.